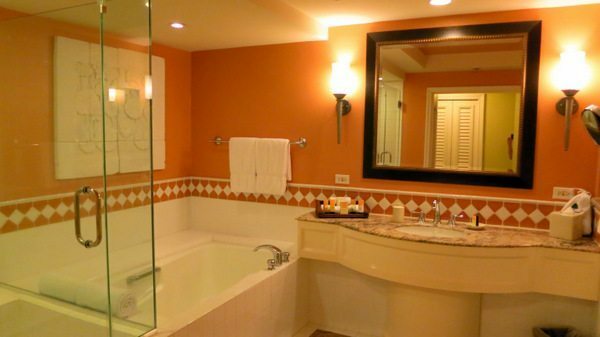 Emily: We used our Hilton points and the free nights from the Hilton Reserve card to book a room at the Grand Wailea. Unfortunately, Daraius could not get an ocean view room because the hotel was full (it was spring break). 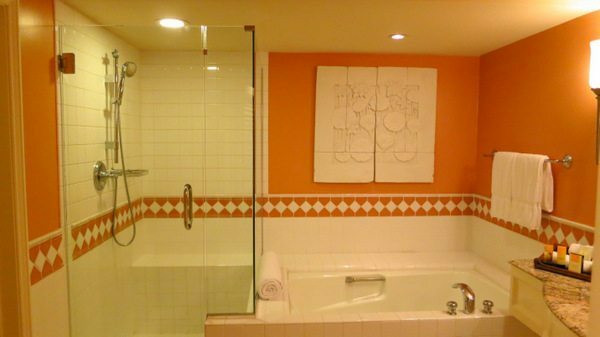 We still had a nice terrace room with two queen beds, but I preferred the rooms at the Hyatt Regency in Maui. Daraius: I normally email the hotel in advance, explain how excited we are to visit the hotel, and politely ask for an upgrade (if available). But I slacked off this time and didn’t contact the hotel until only 1 week from our trip. And instead of emailing, I used Twitter to contact the hotel, since I was curious to see how responsive the Hilton twitter account was. I wasn’t able to confirm an upgrade or to get 1 king bed instead of 2 queen beds before check-in. But the check-in agent spent at least 15 minutes furiously banging away on the computer trying to see if we could get an upgrade or a king bed, but nothing was available since the hotel was sold-out. Alaska Airlines First Class & Getting Locked Out of Our Car! 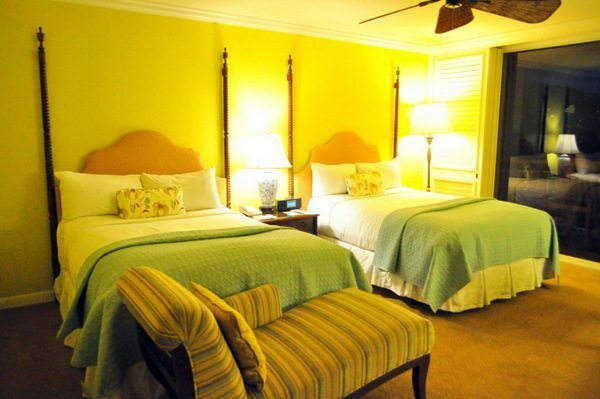 Emily: We would have liked a room with just 1 king bed, but they were no free rooms with king beds. Oh well. 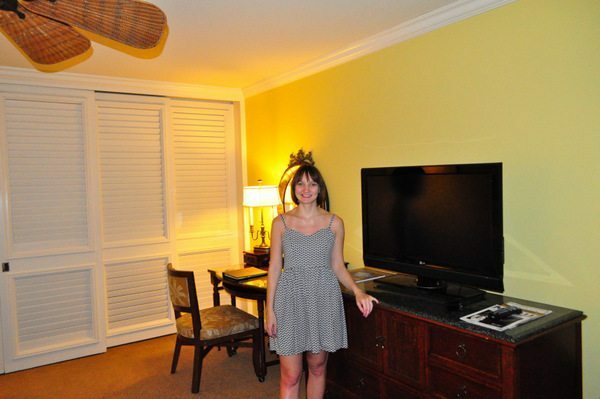 The room had a flat screen TV. But there were wooden blinds instead of curtains, which let in a lot of light in the morning. There was a small desk. …with a view of the parking lot and the hills. But if you strained your neck to the right, you could see the ocean! 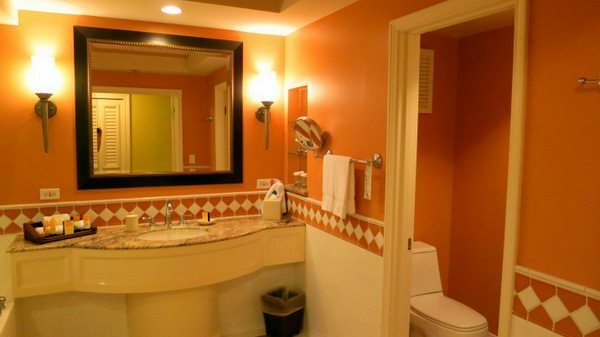 The bathroom was large, and had a walk-in shower and bathtub. The walk-in shower could have been larger, but was fine for a quick shower. There was only one sink, but it had lots of counter space for our stuff. 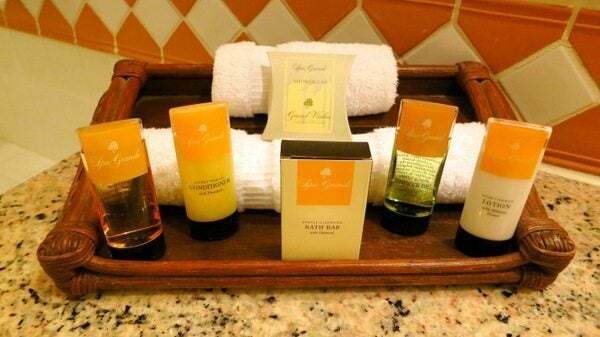 The amenities were Spa Grande (the name of the Spa at the Grand Wailea). There was a separate toilet area. 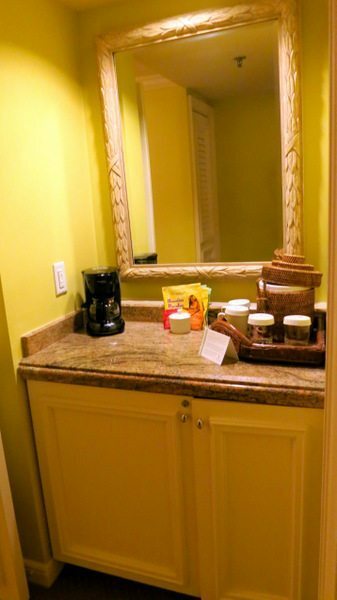 The room also had a coffee maker and a refrigerator. The lighting was insufficient which made working and packing/unpacking difficult. Also, the storage space wasn’t well organized. Instead of having everything neatly stored in the closets, we had to leave our suitcases in the bedroom. 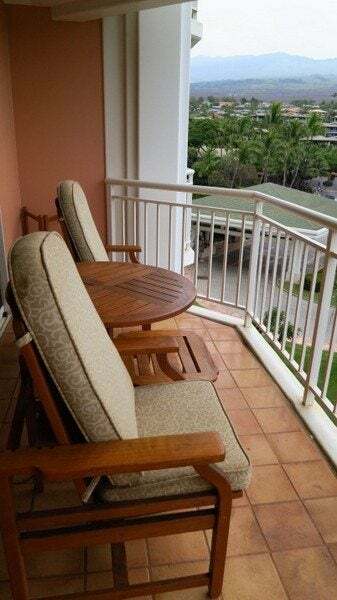 The room was quite ordinary, but you don’t go to Hawaii to spend the day in your hotel room and the rest of the Grand Wailea made up for the uninteresting terrace view room! But we were happy to be staying in a $500 room using our Hilton points and the free nights from the Hilton Reserve card. I heard that Napua club was the best place to be. I have stayed at the Hyatt in Maui and the club level there was awesome. I trust napua will not disappoint when we visit in november. 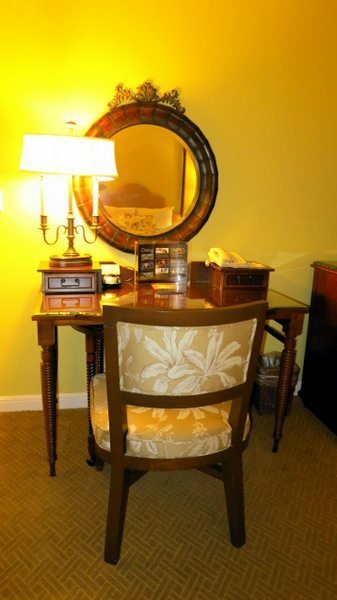 Question…you said that you normally email the hotel ahead of time to politely ask for an upgrade. 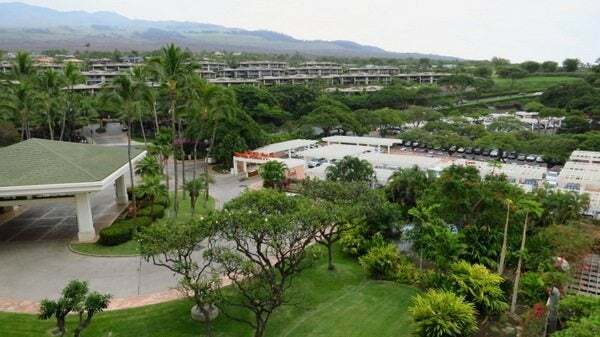 We are staying at the Hilton Hawaiian Village in July on points and I would like to email them to request either a complimentary or paid upgrade to one of the more favorable towers. Who is the most appropriate person to email and how do I obtain their email address. What is the best approach when requesting an upgrade? It appears that the hotel is fully booked for the days we are at the hotel. @amj – It will be harder to get an upgrade if the hotel is fully booked. 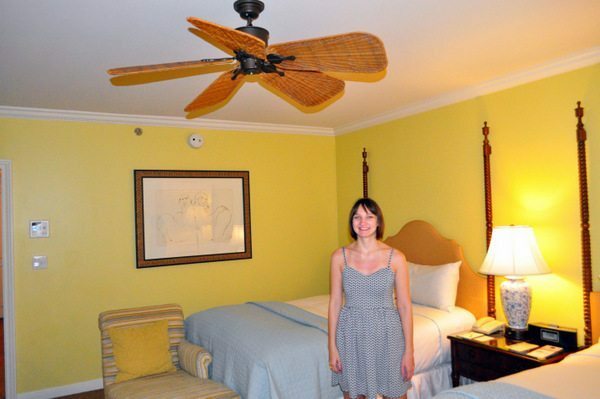 I usually google for the hotel’s general manager and email him/her and ask nicely for an upgrade as a special occasion. @Diane – Congratulations on the anniversary. That’s quite the story and how neat that you got the fantastic suite. The hotel is very grand! 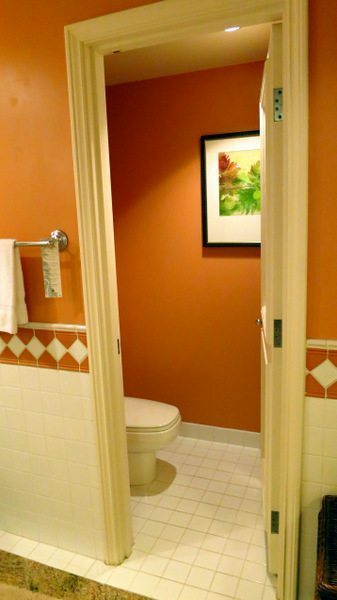 @Josh Lucas – The hotel was sold out when we went because we weren’t even offered a cash upgrade, but $140 for the upgrade could be worth it if you’ve paid for everything else using points. @HK – We drove by the Andaz and didn’t think it would open by summer either, but we’d like to check it out when it does open. My wife and I stayed here for 5 nights back in February. I booked 4 nights in an Ocean View (for some reason the premium room reward was cheaper than the standard reward) plus used 1 night from Citi Hilton Reserve at the end of our stay. 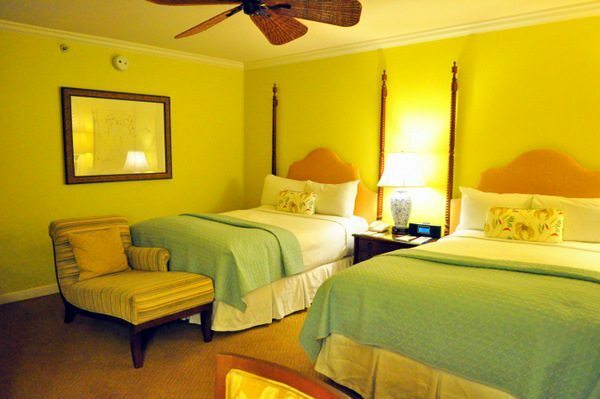 We were able to upgrade to a Napua Room for $140/night, which was a steal. This gave us a slightly larger room with a nice balcony an ocean view. The Napua tower is also centrally located and there is lounge access for breakfast and happy hour at night. This is one hotel where the HHonors devaluation is actually an improvement. Previously, as an elite you could book 4 nights for 265,000. Now, you can book 5 nights for 280,000 in January and February. 15,000 for the extra night isn’t a bad deal. We are returning in January 2014 for 5 nights.